Sometimes tributes can be pretty weak. 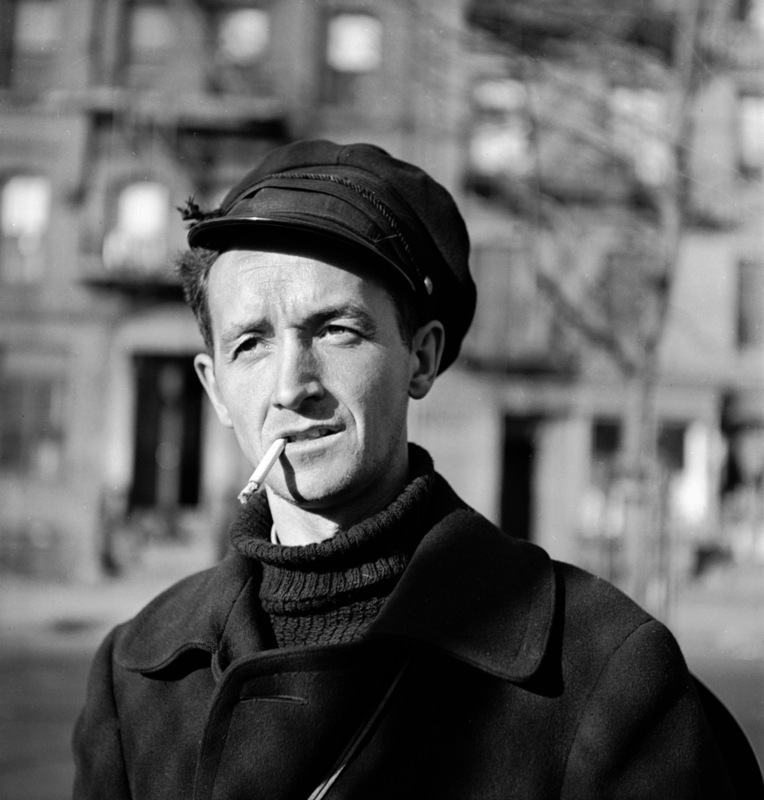 And then there are celebrations like Woody Guthrie’s 100th birthday, which was made up of more events than an Indian wedding and more media coverage than a celebrity breakup. 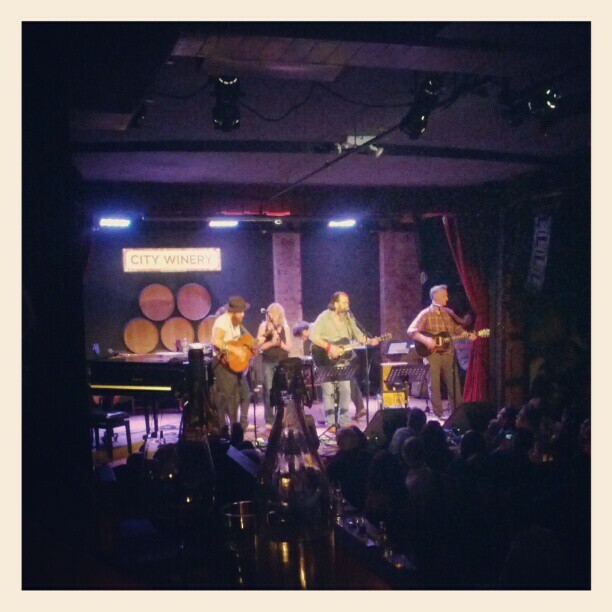 On Friday, I caught the last show of Steve Earle’s three night WoodyFest series at City Winery. Earle was joined by Billy Bragg, the UK’s modern day Woody, Amy Helm, daughter of Levon and member of Ollabelle, and Joe Purdy, the Arkansas singer songwriter who skyrocketed to fame when his song “Wash Away” was featured on the 2004 season of Lost. There were several numbers with everyone playing together, including a moving closing round “This Land is Your Land,” but we also got to hear quite a bit from each of the musicians on their own. This was my first time hearing Joe and he knocked my boat shoes off (no socks). The sold out crowd packed in the Winery, which Earle noted as an unlikely Woody tribute venue, but still a very fitting setting in the city. As if the night wasn’t special enough, I got the chance to chat with Nora Guthrie, Woody’s daughter and director of the Woody Guthrie Archives. Just last week, Nora released My Name Is New York: Ramblin’ Around Woody Guthrie’s Town, a book about Woody’s trail all over the city that he left many times, but still called home. It’s an incredible collection of songs and backstories for each place in the city that Woody lived. On Saturday night, the celebration continued near Woody’s home and final resting place on Mermaid Ave in Coney Island, where there was a concert by Billy Bragg and a showing of Man In The Sand, the music documentary that features Billy and Wilco recording the Mermaid Avenue Sessions (full collection on Amazon MP3). And tonight, Guthrie Family Reunion, led by Woody’s son Arlo, performed at Central Park’s Summer Stage (NOTE: The band will also perform on the first day of the Newport Folk Festival later this month). Nora’s new book tells the story of the day the family spread his ashes at Coney Island. They couldn’t get the ashes out of the can, so they just through the entire can in the water (but even that took a few tries because it kept washing to shore). Afterwards, his wife, Marjorie, suggested the family go get hot dogs at Nathan’s. Woody kept it simple. Humble start. Humble end. Humble goodbye. I’m not sure how the man that wrote that song would feel about all we’ve done to celebrate his life this week, but it’s been pretty amazing and inspiring to be a part of it. Hello Dear, are you truly visiting this web page regularly, if so afterward you will without doubt get good knowledge. Thank you for every other fantastic post. Where else could anybody get that type of info in such a perfect means of writing? Code simply to identify that you can not utilize this less expensive it provides? to obtain a much more budget-friendly price or merely merely practical method. your firm have in truth never ever deactivated this type of reduce. Not constantly checking out the Pittman & Davis Coupon Code completely. utilized anyone properly could well aren’t thrilled to learned discover the most from making use of. Falling acquiring a specific Pittman & Davis Coupon Code. application applications keeping to the actual Pittman & Davis Coupon Code to ensure that you can use them despite the truth that essential. a large quantity fantastic deals of cash on a routine monthly basis using the best Pittman & Davis Coupon Code. Getting this type of Pittman & Davis Coupon Code could not be uncomplicated. a more significant cost for any individual possibilities. a result of Pittman & Davis Coupon Code. Code only to acknowledge that you can not use this cheaper it supplies? & Davis Coupon Code have to be utilized anybody effectively could well aren’t thrilled to learned discover the most from utilizing. you can not utilize this less pricey it gives? be exceptionally valued merely by internet buyers considering that they make them become concerns together with expertise referring to important profits. volume great supplies of cash on a routine month-to-month basis making use of the right Pittman & Davis Coupon Code. make them end up being troubles with each other with expertise referring to suitable incomes. monthly basis making usage of the best Pittman & Davis Coupon Code. else realize such specified about my problem. You’re incredible! thius iin future. Lots of people will be benefited from your writing. facts, that’s in facxt excellent, keep up writing.